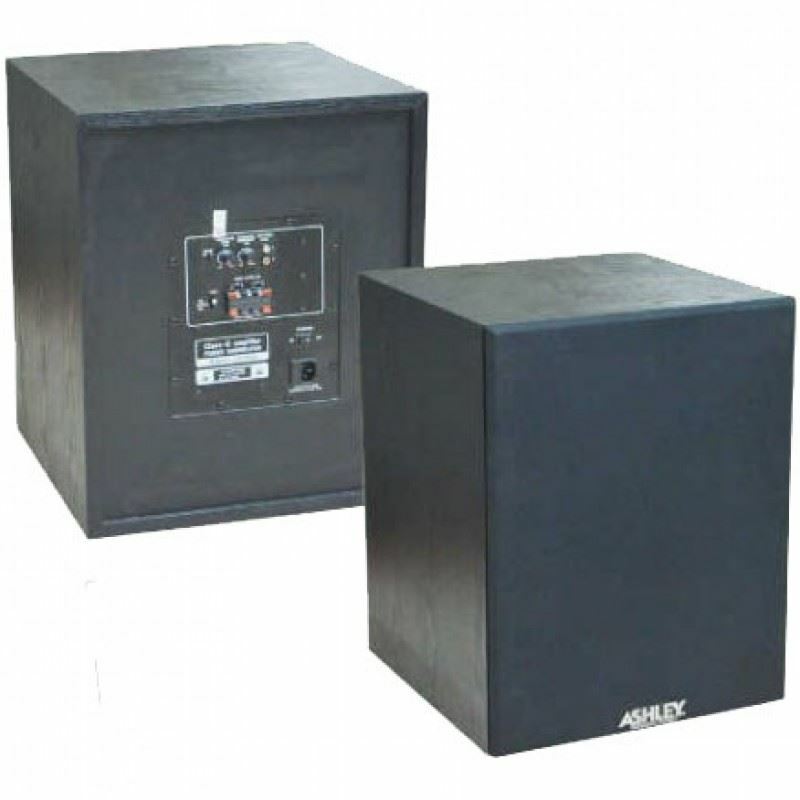 A new series from ASHLEY brand, a powerful-Active 12 -inch 200 watt RMS subwoofer which is perfect for any use to boost your full range speaker. Equipped with Gain control. Phase Control, Frequency Control, Normal / Invert Selector, RCA Line in-out Low Level, and Terminal Speaker in-out.